Here at Berkshire Hathaway HomeServices Snyder and Company, we’re more than just realtors. Each month we like to take a moment to shine a light on one of our magnificent real estate agents. 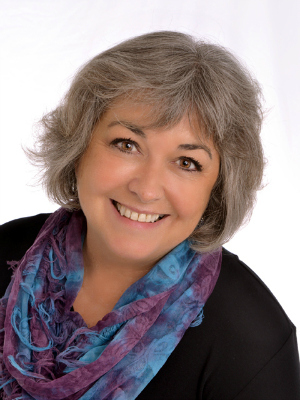 This month’s agent spotlight is Diana Watches! I grew up in Kincaid, Illinois. A small town with a population of 1500, my graduating class only had 29 people in it! The people! When you choose to live in the Midwest…you are committing to a Midwest lifestyle (friendly, helpful, insightful and fun loving). Who can ask for more? My husband Andy, and I raised our family in Saline. I became involved with Saline Schools (PTO, Volunteering, Saline Men’s Lacrosse). Our son graduated in 2011 and in 2014, we decided to downsize and moved to a condo on Ford Lake (Cliff’s Landing). Since we live on a lake now, we are on our boat enjoying the sunshine, hanging out with family and friends. I have been actively selling for about 4 years now, but have been in ‘real estate’ as a property manager since 1987. I absolutely love looking at homes….but the best part is when your clients become part of your friend network! The majority of my original clients are now friends. How awesome is that! I’m not sure I can pick a favorite, there have been so many. I truly love what I do and have been so fortunate to have the best clients! What is the one tip you have for someone looking to buy or sell a home? Have a plan to manage the stress of selling/buying and work with someone who understands your plan and you have a comfort level with. The rest will fall into place! Interested in working with Diana? You can see her contact information and current listings here.